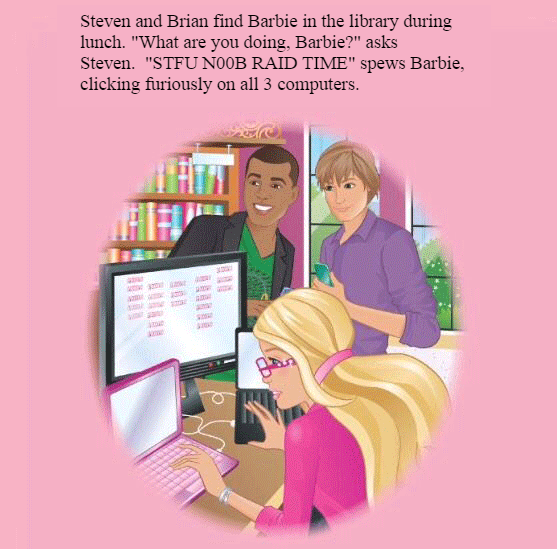 Steven and Brian find Barbie in the library during lunch. "What are you doing, Barbie?" asks Steven. "STFU N00B RAID TIME" spews Barbie, clicking furiously on all 3 computers.